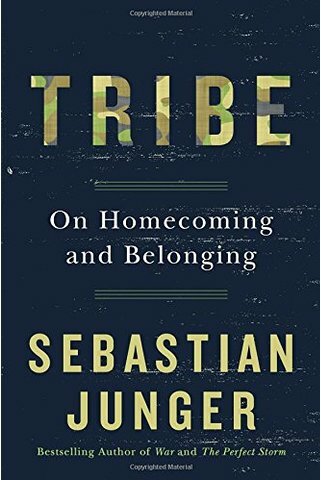 Sebastian Junger’s insights on leadership and teamwork within a community – and civilization at large – are remarkable. 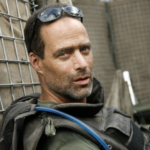 His broad range of experiences as a war-correspondent, anthropology student and tree cutter inform perspectives that have made him a New York Times bestselling author, award-winning journalist, and Academy Award nominated documentary filmmaker. 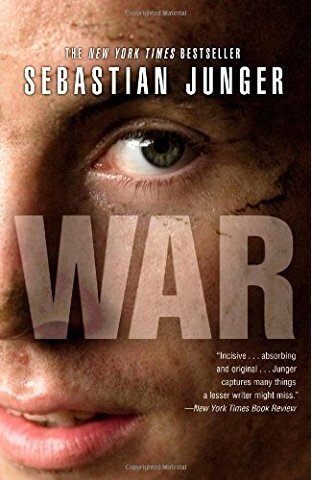 Sebastian is known for his insights on the extraordinary bonds formed in combat. He has also studied PTSD, and the connection with depression and suicide; which he attributes to a loss of deep communal bonds. He says the basis and prevalence of mental illness and depression today may be derived from a society where all of our material needs, but none of our evolutionary social needs are met. Sebastian’s insight on the the importance of leadership and team accountability harken back to base needs that have been lost in the progress of civilization. [2:09] Although having written on and off for newspapers and magazines in his 20s, Sebastian earned his living as a climber and tree cutter until he was sidelined by a chainsaw injury. During his recovery time in Gloucester, Mass., a local fishing boat, the Andrea Gail, was lost to a storm at sea, and this disaster crystallized his desire to write about dangerous jobs. 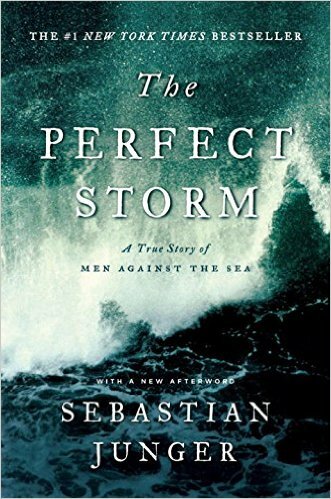 The Perfect Storm was his first book. [4:29] Sebastian discusses the social nature of humanity, attributing our survival to our ability to coordinate our efforts. We’re smart, we can build tools and weapons, and we work together. One of the ironies of modernity and of wealth is that people are able to be more independent of their community. [6:51] Sebastian comments on teams in business, and how they differ from evolutionary social groups. Life-and-death stakes bring out the best in people. A platoon will have greater devotion and loyalty than an office team. [9:35] Sebastian sees the infrastructure that keeps us alive today as separate from our immediate lives. We don’t eat locally. Everything is part of some larger process. There are huge physical advantages to industrialization and mass society, but also huge social and psychological deficiencies. When you don’t depend on, or even know, the people around you, that isolates you, and leads to depression and suicide. [12:46] Sebastian notes that PTSD cases outnumber the returned military who have actually served in combat. He explains why that may be. We are wired to deal with trauma, but not with the alienation and isolation of the American suburb. Addressing leadership, he suggests that skills that work in combat are the ultimate leadership skills and traits, and business leaders need those traits. Leaders eat last. [18:32] If you have a leader who takes a bonus while firing his people, that’s terrible leadership. In a band of hunter-gatherers, that leader would be killed. When we allow that type of leadership behavior, we are radically departing from our social communal past. [21:01] In the military, leaders give orders in their own name. There is no passing the buck. Sebastian recalls an incident of grave danger, where the lieutenant took a life-and-death risk to assess the situation. His sergeant immediately stepped up, following his example. [25:44] Two reporting situations altered Sebastian strongly. First, Afghanistan in 1996 and 2000, fighting the Taliban. For the first time, Sebastian saw extremely wounded people. He unknowingly had PTSD on his return. The second was being with the 2nd Platoon, Battle Company in the Korengal valley. The bonds he experienced were intense and changed his life. [28:27] Sebastian felt that the loyalty he observed, and was part of, in the 2nd Platoon, turned him inside out. Returning home, he was so altered that he could not continue leading his life as it was. He says it was not trauma; it was something much more positive. [30:38] There is much more to war journalism than being embedded with the U.S. Military. That feels so much safer than going by yourself to a civil war in Africa, or Afghanistan, or to the Arab Spring countries, on your own. You’re not even sure you can trust the people with you. The country needs journalists. [32:17] Sebastian’s degree is in Cultural Anthropology. He wrote his thesis on a Navajo reservation, on Navajo long distance runners. That thesis sparked his interest in writing. Anthropology informs everything he has written, especially his research on PTSD. PTSD is much more widespread today than in any previous generation. We are no more a communal society. [39:05] Sebastian shares a new issue he is exploring: raising his six-week old daughter. He is interested in evolutionary parenting. What infants need is closeness to their parents. As children grow, girls stay close to home; boys form groups and range farther away from home. We are not allowing boys today to roam. 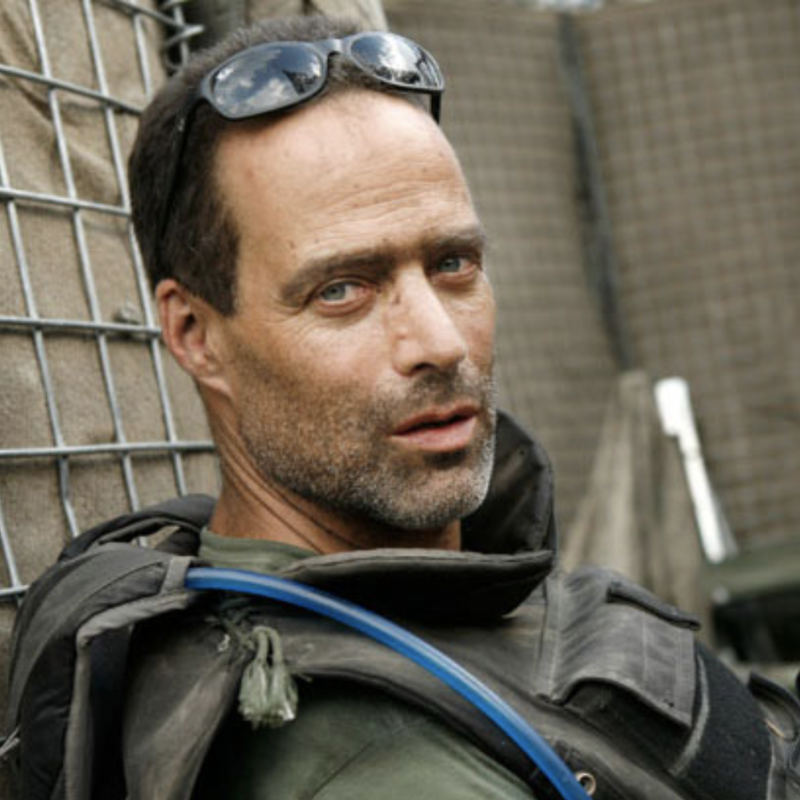 Sebastian Junger is the #1 New York Times Bestselling author of The Perfect Storm, Fire, A Death in Belmont, War, and Tribe. 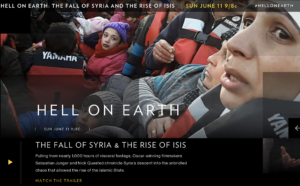 As an award-winning journalist, a contributing editor to Vanity Fair and a special correspondent at ABC News, he has covered major international news stories around the world, and has received both a National Magazine Award and a Peabody Award. Junger is also a documentary filmmaker whose debut film Restrepo, a feature-length documentary (co-directed with Tim Hetherington), was nominated for an Academy Award and won the Grand Jury Prize at Sundance. 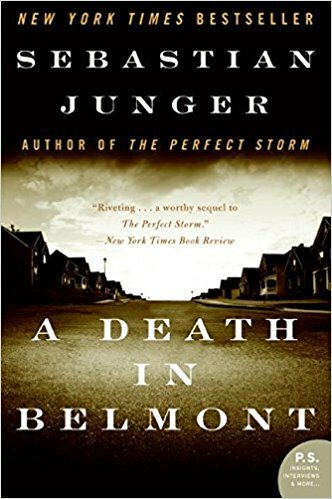 Junger has also written for magazines including Harper’s, The New York Times Magazine, National Geographic Adventure, Outside, and Men’s Journal. 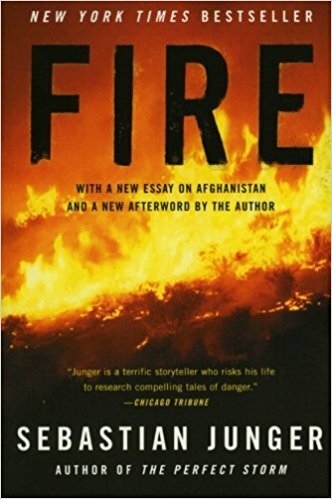 His reporting on Afghanistan in 2000, profiling Northern Alliance leader Ahmed Shah Massoud, who was assassinated just days before 9/11, became the subject of the National Geographic documentary “Into the Forbidden Zone,” and introduced America to the Afghan resistance fighting the Taliban. 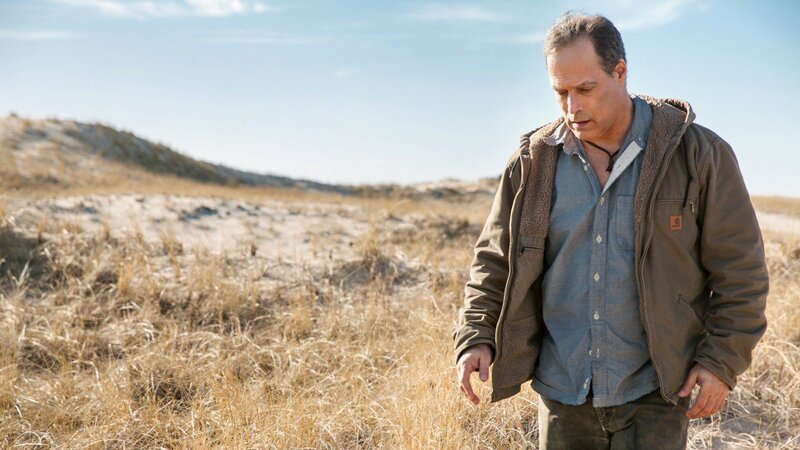 Junger lives in New York City and Cape Cod.